The stem bolts of this TLC Bikes "Metric Titanium" Stem Bolts Kit are made of light weight but strong titanium. They will fit on almost any stems that uses allen screws with a head width of 10.6mm and a length of 28mm. 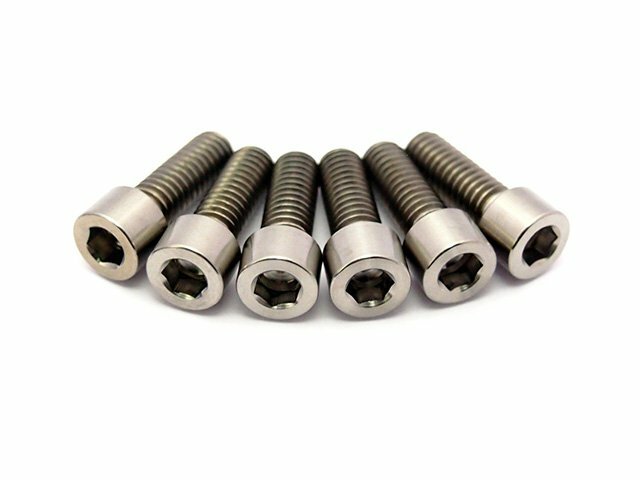 The TLC Bikes "Metric Titanium" Stem Bolts Kit consist of a set with six allen screws.